Want to find out how do you make a hand-drawn movie – we teamed up with Crayola to offer you some tips below! First, you are going to need an idea. Think about your story and the main events that take place. Draw a series of pictures to represent the order of events, and use the space under each drawing to explain the action and plan sound effects and dialogue. Next you’ll need to set up your studio. You don’t need lots of high-tech equipment but to set up a simple Crayola movie studio at home. You just need a laptop or computer, a webcam (ideally this should be a separate USB webcam) and some animation software. 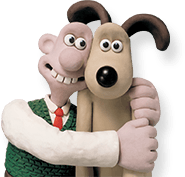 If you don’t already have some animation software you can download a free trial of Aardman’s Animate It! software. You’ll also need a desk lamp, some colouring pencils, felt tips, crayons, masking tape, Blu Tack and LOTS of A4 paper. Animation is actually very simple. When you animate clay characters or figures, you take a picture of something (or rather ‘you capture a frame’), then move your character and capture another frame. You repeat this process until your sequence is complete. With hand-drawn animation the process is slightly different. You draw something and capture a frame then you change the drawing slightly and capture another frame. It’s easiest to draw on a flat surface so put your first sheet of paper on the table and fix with a tiny bit of Blu Tack. Mask around your sheet of paper with masking tape as a guide so you always put your sheets of paper in exactly the same position. This will help make your finished animation much smoother. Position your webcam so it’s looking directly down on the paper you are drawing on. You could tape the webcam to an angle poise desk lamp. Draw your first picture and capture four identical frames. This extra time at the beginning of any animation makes it look better when you play it back. Add to your drawing and then capture two more frames. Keep adding bits to your drawing and capturing two more frames every time you make a change. If you need to make a big change, you might want to start drawing again on another sheet. Take a clean sheet of paper and place on top of the first piece of paper and trace around any part of the first picture you’d like to use in your next frame. Untack the first piece of paper from the table and replace with the second piece of paper, using the masking tape guide to put it in exactly the same position. Repeat again and again and again until you have completed you Crayola movie!